I bought a tub of Crayfish tails when I was trying to do my 6 weeks without sugar. I was going to use them for a salad but after giving up (let’s face it I only lasted 6 days! ), salads weren’t high on the agenda anymore. So I decided to cook a Crayfish and Mushroom Risotto. I didn’t have any fish stock in the store cupboard so I used Vegetable Stock instead but it was still absolutely delicious. 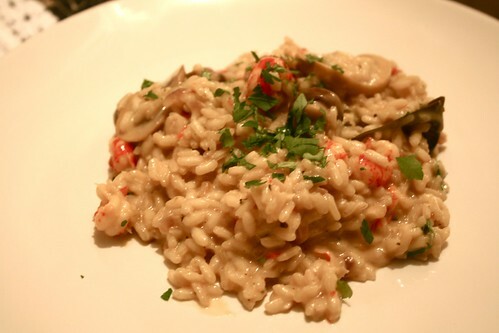 Risotto is so easy to make, although you do have to keep stirring the pan so that it doesn’t stick but it’s a delicious treat.